Worcester Heating Spares.co.uk the Uk's leading independent internet supplier of Worcester Gas boiler spares. Genuine Worcester boiler spares direct to your door, nextday delivery on 99% of Worcester spare parts available to get your Worcester boiler repaired quickly. Worcester boiler parts has long been established as a independent supplier of genuine Worcester boiler spares & heating components. As such, we have built up a well-respected name, within the boiler repair and maintenance sectors, Worcester Heating Spares.co.uk the uk`s leading supplier of Worcester boiler spare parts for Worcester Boilers, where the Trade buys, fast nationwide delivery of Worcester Spare Parts. Here at Worcester Heating Spares.co.uk we have a wide range of Worcester boiler spares and heating spare parts available. Browse our large Worcester Spares catalogue online. We stock authentic Worcester boiler heating spares at trade prices. All our Worcester boiler replacement parts come with a genuine manufactures warranty giving you peace of mind we will not compromise your safety with low quality and unsafe copy parts. Getting the correct part to our clients is our utmost goal, that's why Worcester Boiler Parts spends a lot of time ensuring a photographic image accompanies your Worcester heating spares search. Worcesterheatingspares.co.uk supply spares for the complete Worcester Range of Boilers. 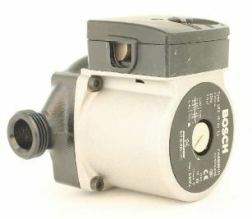 Worcester Spares and boiler Parts, Bosch combi spares & Worcester Heating Spares.co.uk Largest independent supplier of genuine Worcester bosch parts in the uk, where the trade buy Worcester spare parts for Worcester Combi Boilers, Worcester System Boilers and Worcester Regular Boilers.